Please check back often for more auction listings. If you are looking for auctions in other states, please click on the states shown above to find other local auctions. If you would like to see your auction listed here, please click here to contact us. If you are looking for livestock, the Livestock Auction Pages are dedicated to bringing you quality auction and sale information for cattle, buffalo, bulls, calves, horses, swine, pigs, sheep, bison, and other livestock. Wyoming Auction Pages is dedicated to providing you with the most complete list of local auctions, including livestock auctions, in Minnesota, Montana, Nebraska, North Dakota, South Dakota, and Wyoming. 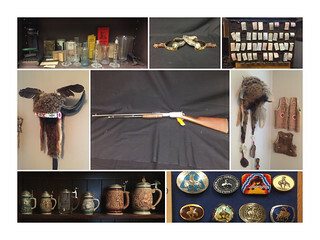 Whether you are looking for antiques, collectibles, farm & ranch equipment, knick knacks, coins, jewelry, western items, cars, trucks, tractors, or real estate, we have it all!